“In order to step out of our shells and into our greatness we need a place to be held whilst in the process of transformation. As we step beyond our self-imposed limitations, our learned smallness, inherited inadequacy, our culturally imposed confinement, our trauma and own our power we need to learn to find… or create safe space. A safe space allows you to feel yourself into your own skin and power. It is one that holds you safely, without judgement, that allows – nay, celebrates – the unfolding of yourself. It is a place to be deeply seen and to be heard. We cannot transform in healthy ways, when we are caught in a hall of mirrors of trauma, fear and shame. A safe space provides a circle of reflective living mirrors that cheer us into our greatness and witness our full power before we may see it ourselves. Every woman needs this – a place to express her doubts and frustrations, to be heard and seen into her power. A place where she can be without shame. Most of us have experienced few truly safe, held spaces in our lifetimes. For many women it is vital that this space is out of the male gaze. 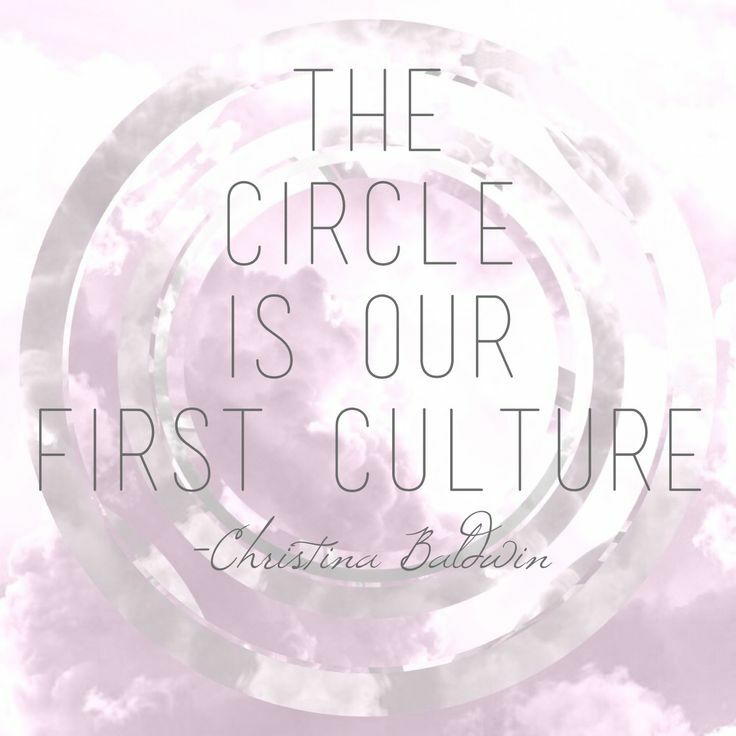 For some it may be important to have a circle of women who know us well, for others a group of strangers is safer. Dear love, if you don’t have one, seek one out, or create a safe harbour for yourself. Are you longing to be held? Yearning for safe space? Poised on the verge of transformation and feeling alone? Feeling your life whirling around you with nowhere safe to rest? There’s big stuff shifting right now in the world, in our lives, in the stars. So if things are rocky and intense, know you’re most definitely not alone. This year is requiring big courage from us already. As I journey through challenges in my own life, I am always deeply grateful for the circles of support that hold me. Different circles for different aspects of myself – my father’s kitchen table, my women’s group, Leonie’s entrepreneur Academy, and the many other circles which I have joined as part of e-courses and which hold me as I explore my creativity, my sense of self. This year, once again, I am joining in a number of transformative women’s circles, created by women I trust. I extend the invitation to you to join me… and get the chance to win a place. This immersive, 13-month, online curriculum uses the metaphor of birth to discern and amplify the intrinsic ways women create. I found it extremely powerful as I travelled through the curriculum last year. 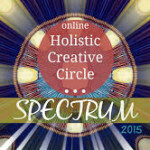 The program charts a year long arc of support and resources for your self as you navigate growth and change. This year they have adjusted the payment structure to be $55 monthly to make it accessible to even more women. I am in awe of these beautiful women to hold powerful womanspace, weave beautiful ceremony and attract deeply transformational teachers including: ALisa Starkweather, Dr. Jean Shinoda Bolen, Isabel Abbot, Rising Appalachia, Susun Weed, Amy Wrigth Glenn and new Womancraft author, Melia Keeton-Digby. I am deeply honoured to be one of their teachers again this year. And for Womancraft Publishing be publishing their book later this year. 1) Sign up to the Womancraft Publishing mailing list, so you can get your free sample of their book later this year. 3) Leave a comment below. You can also nominate a friend to win. Winners will be announced here this Friday – so get your skates on and be sure to check back to see if you’ve won! 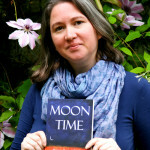 The MoonWise Woman online circle is a journey for women who wish to re-ignite or strengthen their connection with the moon and her wisdom. For those women who want to remember their heritage and herstory. To begin or deepen their connection with the Divine Feminine, with the land and also with each other. Every month, every moon of the year has its attributes and energies which the circle will follow and connect with. At the Full Moon there will be guidance for ceremony and celebration, a drum journey and suggested journal or art practices. At the New Moon there will be a guided meditation, a review of the time gone and the time to come, and an offering from a guest teacher. There will also be a private Facebook group where you can gather virtually with other sisters in the circle, bringing insight and support to one another. You can join the circle on a moon by moon basis or choose to join for the entire cycle of the year. 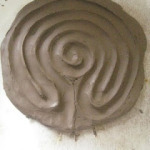 Those who connect for the full year will also receive the gift of a power retrieval or divination reading with Awen. Creativity + Healing = Magic . This course majorly impacted my ownprocess last year, and I’m honoured to be invited back this year. Enrollment opens with fab early bird prices on Feb 1st, for a May start. THIS weekend I’ll be offering a chance to win a place on it, so be sure to check back here on Saturday. The SHEro’s Cauldron has been created for you if crave real connection, depth and meaning in your life, so that you can reconnect to the power and wisdom that resides with you. When you join The SHEro’s Cauldron you will be immersed in the wonder of women’s mysteries, you’ll discover how to activate your own power with cyclic living and reignite the magic in your life. Each month you will receive a mandala to colour that will correspond to the energy of the month, collectable self-care cards, a crystal and other items to support you on your very own SHEro’s Journey. Now in its third year, The Soul Sanctuary is an online women’s circle run by Jackie Flowerspirit which explores a monthly theme using meditation-meets-energy processes, flower essences and other powerful resources for loving transformation. 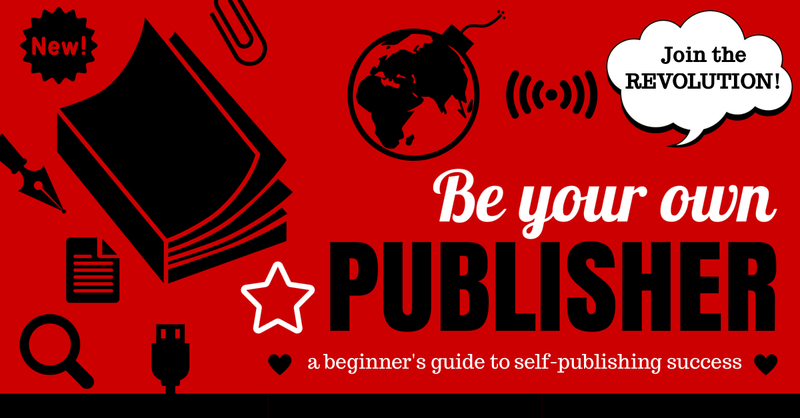 My self-publishing e-course will be enrolling in February. 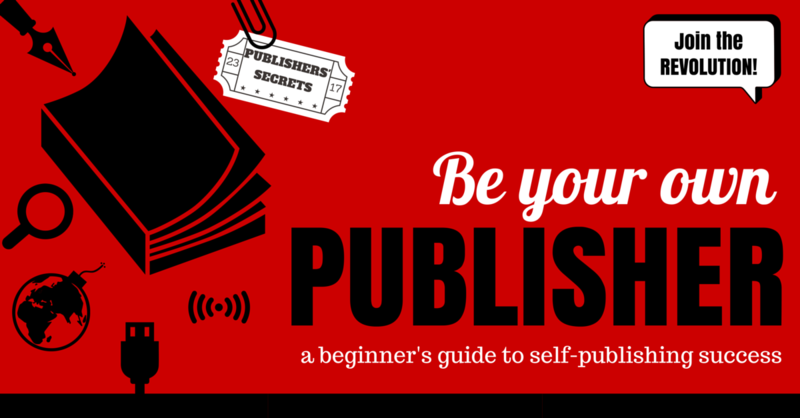 Are you ready to bring your writing dreams to life, take charge of your own work, and have a circle of support as you do it? 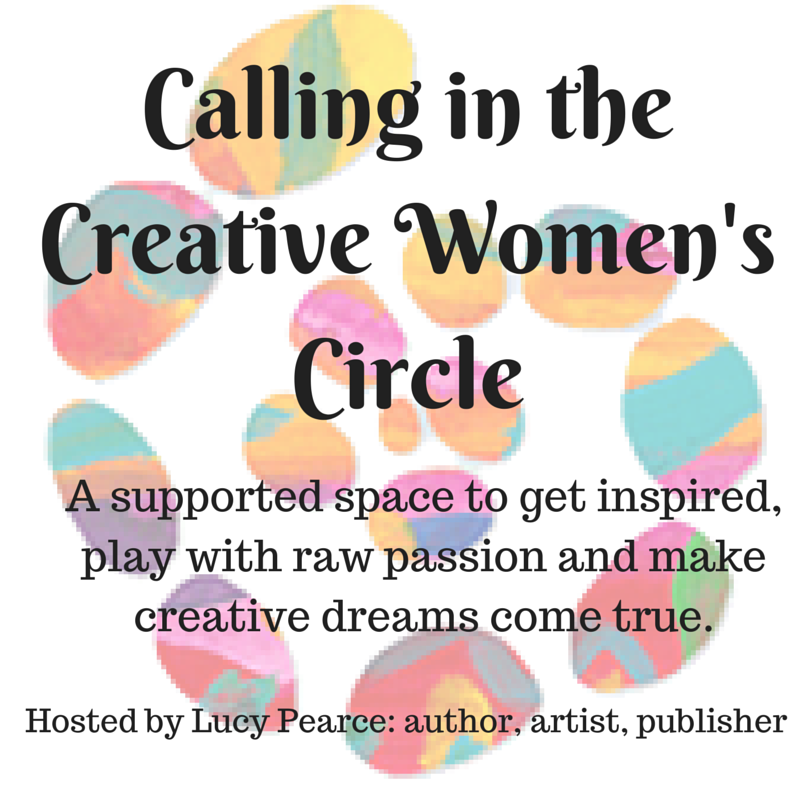 What About YOUR Creative Circle, Lucy? It’s coming… it’s coming. Taking shape, gathering courage. I want it to be the best I can offer. I want it to be unique and powerful. I’m putting the pressure on myself and procrastinating… To find out more about my early vision for it and register your interest see here. 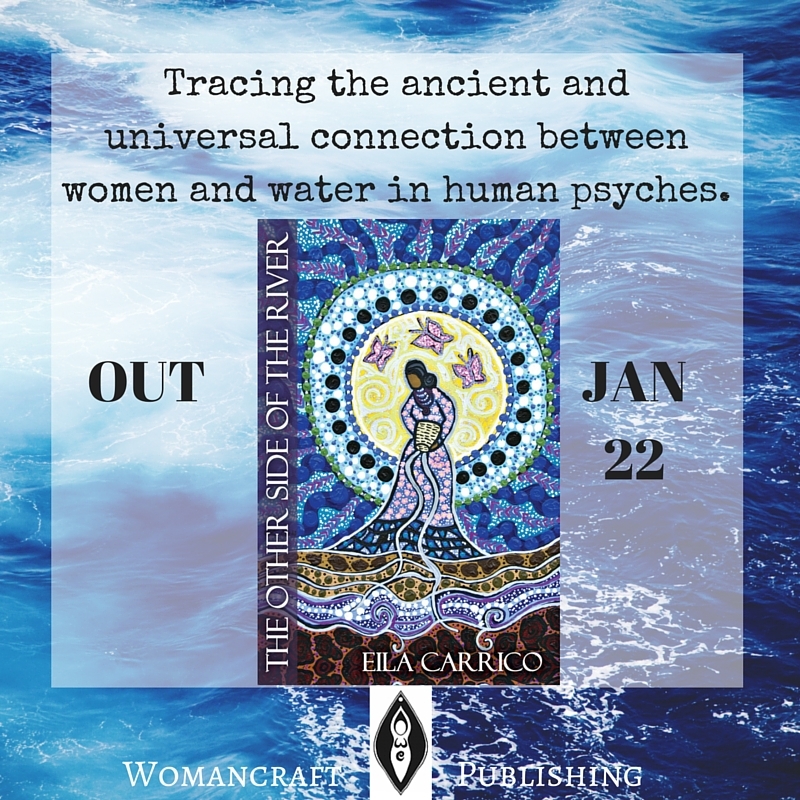 If you’re all set for circles, but looking for a great new read, don’t forget we have a book launch for our new Womancraft Publishing title this Friday – and you can win one of three signed copies of The Other Side of the River – see here for how. I would love to win the place in Birthing Our Way into Being , having completed a three and a half year somatic therapy training focusing on our Origins , deeply exploring our embryological journey ,birth and moving onto our two feet therefore the the birthing metaphor really resonates with me. 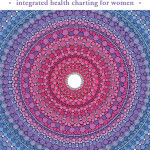 As I prepare to move out into the world with my work ,I yearn for the holding and nourishment of a women’s circle . Hello Lucy! I’ve just entered the competition: have no idea what I am letting myself in for if I win, but intuitively it might well be wonderful! Thanks for your lovely blog and sending you lots of love! Birthing myself has been the theme for me over the past year. I would love to have this be part of my experience. Blessings to you. 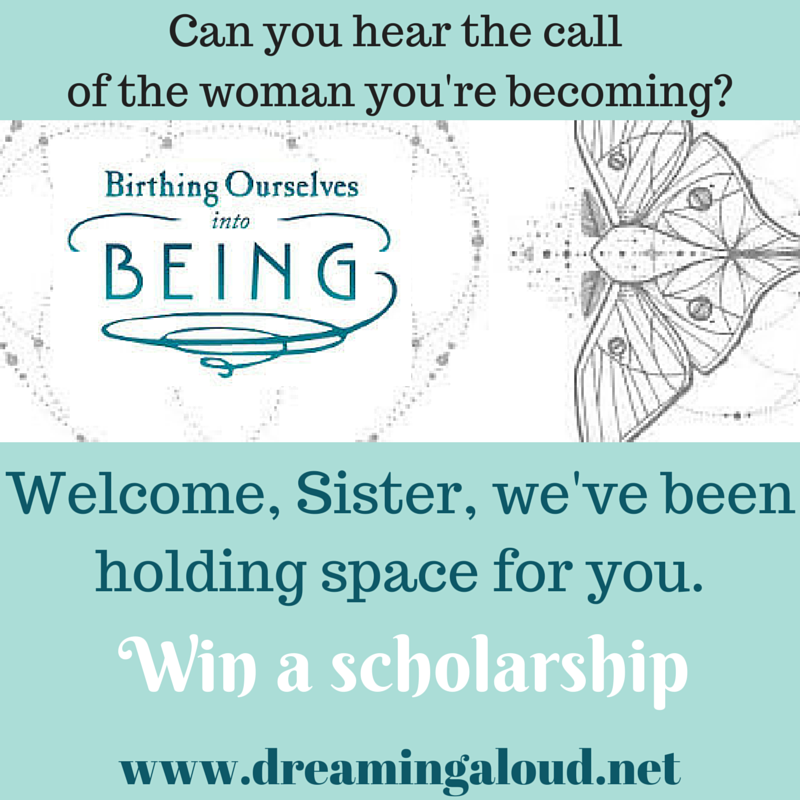 Oh Lucy, what a wonderful giveaway, I would love to be a part of the Birthing Ourselves into Being course, it sounds wonderful! I had been looking forward to a local to me women’s circle starting this January but it is on hold for now and I’m feeling the gap despite the group not yet meeting! I was already signed up to mailing list and have shared and whatnot. I’m thrilled to share this brilliant course and hope I’ll be blessed with a scholarship to be able to journey with such incredible teachers and experience incredible learning, growing and healing.